If you have been following me on Instagram, you must know that I recently moved to Dubai. 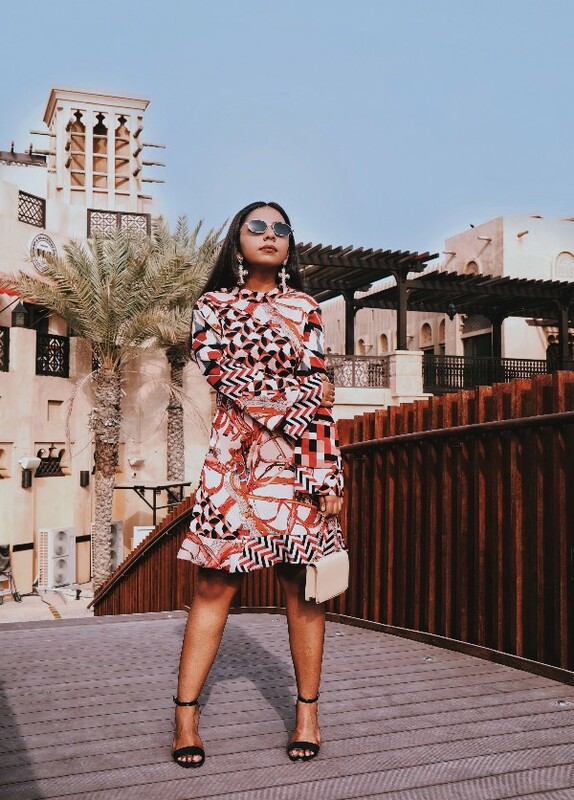 I had been so occupied the last couple of months, initially deciding whether to move to Dubai or not and later settling down here, that I couldn't bring myself up to write any blogs. Moving to Dubai was one of the toughest decision I have taken till now and I am still trying to figure things out here. I want to share every detail with you'll but I guess I'll need some more time to jot it down here. Today, I'll be talking about one of my recent obsession with the scarf print trend. I have always been a print shy person and stuck to the basic stripes and polka dots. 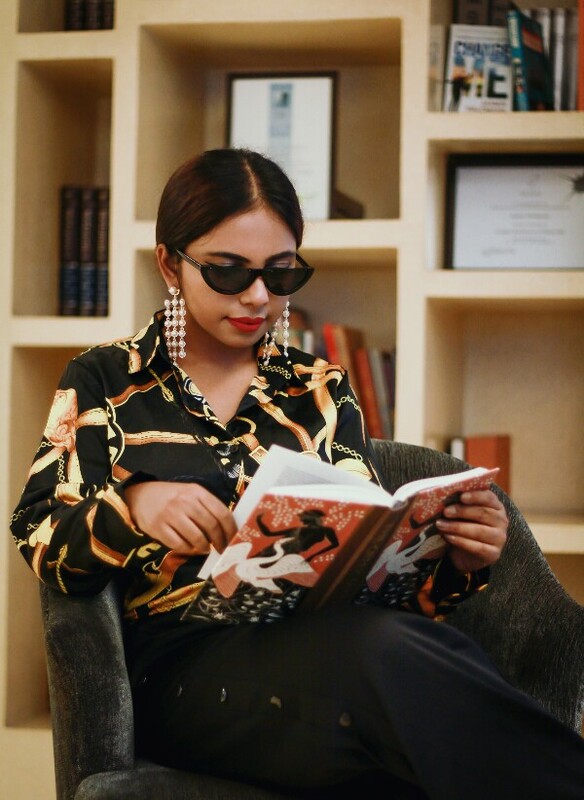 But the retro appeal of this jewelry inspired print made me try out this trend. 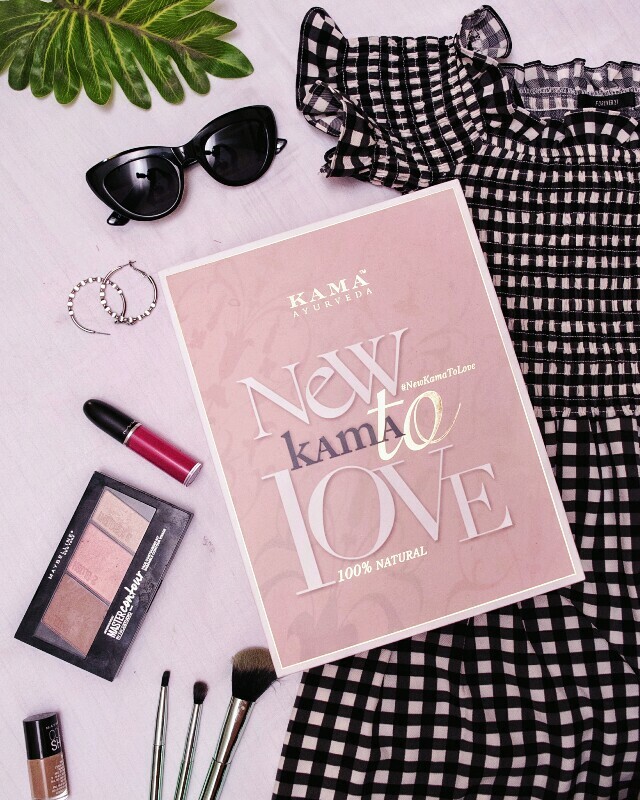 The key to embracing this trend if you're not a print lover like me is taking one baby step at a time. For instance, I started with a chain print scarf and now I own half a dozen of silk shirts and dresses in this print. 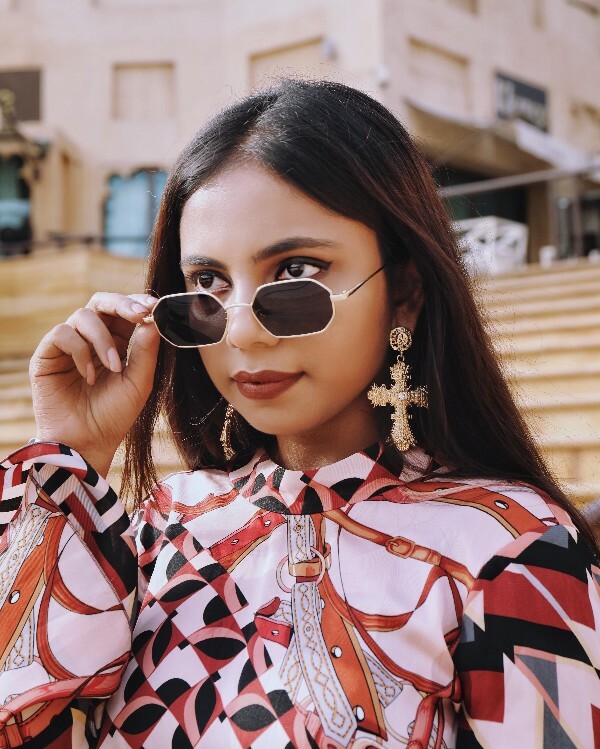 Even flaunting an accessory in this bold print will make all the difference. 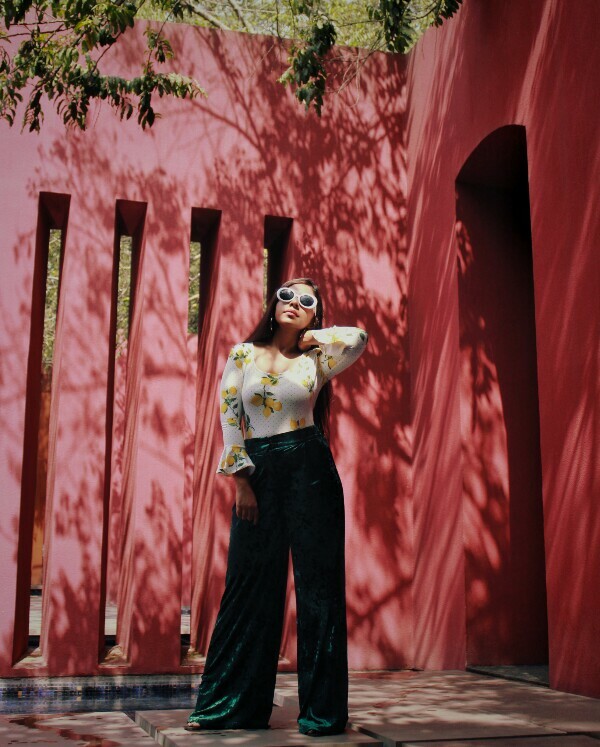 This versatile print can be seen everywhere in almost all the fast fashion stores from Zara to Forever 21 in every possible silhouette. If you're all set to go overboard with this trend, don a head to toe chain print look with statement accessories. 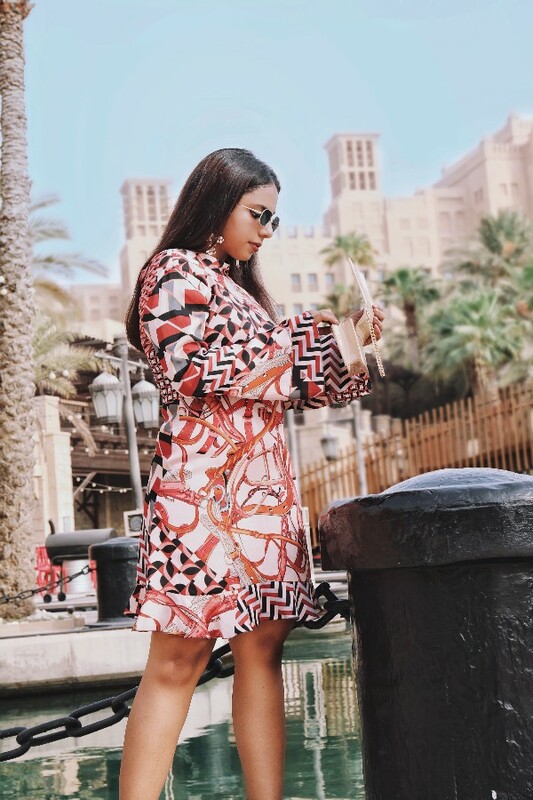 I received this Zara chain print dress from Fashsouq, a Dubai based online store delivering authentic, luxury and high street brands across GCC, Pakistan and India. With sharp geometric pattern combined with chain print, this gorgeous dress is a statement in itself. The warm shades of maroon and brown makes it a perfect fit for fall. I have accessorized the dress with a pair of vintage cross earrings and polygon sunglasses. The idea behind the styling was to create a retro maximalist look. I have completed the look with beige mini purse and a pair of block heels. Body washes are gentler and more moisturizing than most other soaps because they contain large amounts of petrolatum, an ingredient that moisturizes and lubricates the skin. The gentle nature of liquid cleansers makes them ideal for dry or sensitive skin. Body washes usually comes in sturdy packaging which makes it travel-friendly unlike bar soaps which become extremely fussy to carry around one you have started using it..
It’s easy to squirt out the required amount of body wash without any wastage as oppose to bar soaps which usually diminishes in size due to splashing of water. Lastly, you can utilize even the last drop of body wash by flipping the bottle upside down. Bar soap, on the other hand, eventually becomes small and impossible to use effectively. 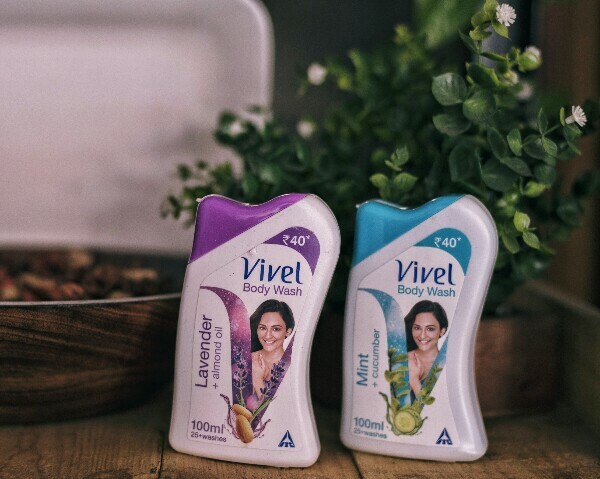 I always keep switching among different body washes available in the market and recently I tried my hands on the newly launched Vivel body washes in two different variants, Lavender Almond Oil and Mint Cucumber. 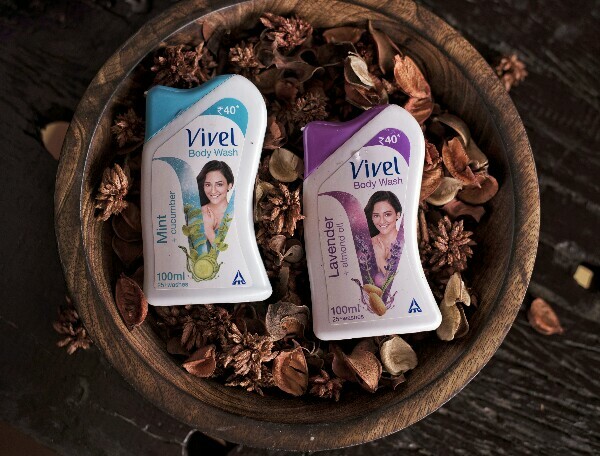 They have come up with an introductory offer of 100 ml bottles at a price of only Rs.40 along with a free loofah. Lavender Almond Oil has a pleasant lavender fragrance with nourishing almond oil while the Mint Cucumber with cooling mint and hydrating cucumber, gives more freshness, fragrance and hydration to the skin. 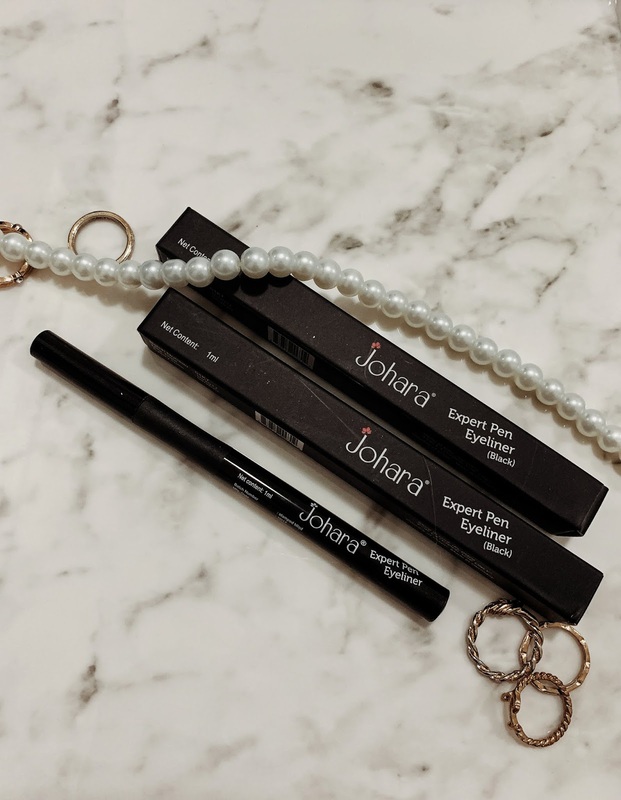 The fragrance is mild and long lasting. The 100ml bottle comes in a tiny plastic tube packaging which is easy to use and carry. The texture of the body wash is creamy, and leaves the skin feeling squeaky clean, but does not dry it out like soap. When used with a loofah, it removes dead skin cells, making skin bright and smooth. Moreover the body wash is formulated with a quick wash formula that rinses off easily. So, no more water wastage. Since I have super dry skin, I usually follow it up with a moisturizer to keep my skin soft and hydrated throughout the day. Well, I couldn't really find any flaws in the product. 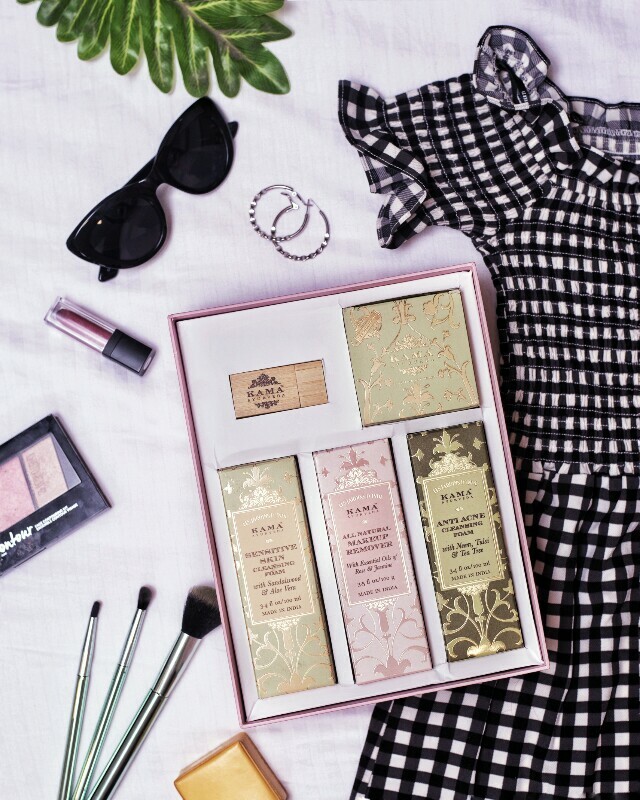 Now you can win a lavish hamper from ITC Vivel. All you have to do is follow me (@thebrokechica) and Vivel by ITC (@vivelbyitc) and comment done and tag 5 of your friends here. 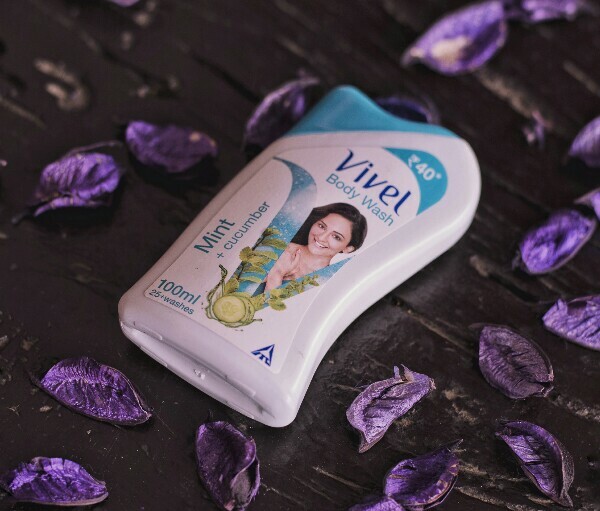 DM me your address details to receive the Vivel body washes for free, use the products for 10 days and review the same on your social media handles. 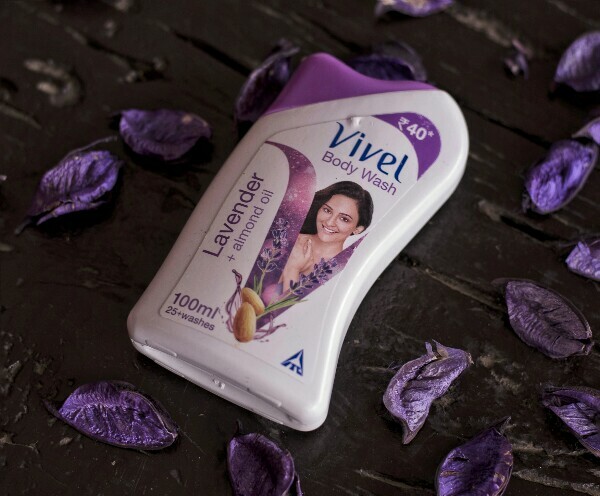 Don't forget to tag me and Vivel body wash in the picture you upload. 5 participants with the best answers will win the exclusive hamper from Vivel. Contest ends on 27th May so hurry up and participate. All the very best guys!! If you have been following me on Instagram you must be knowing about my trip to Delhi last month. While on my stay there, I got the opportunity to visit the Roseate hotel for a staycation. I visited both the Roseate House and The Roseate Hotel and had the most wonderful stay. I was putting up in Gurgaon and the car arrived right on time for pick up. As we arrived at the hotel, there a small welcome ceremony where we were greeted with flowers and fresh juice. The Roseate House is conceived as a book, with each floor being a chapter and the rooms representing stories. The entire hotel has a very modern and chic appeal. The hotel has been done in warm tones of brown and beige. You'll find several coffee table books and fantastic artworks in every corner. Being a business hotel, the rooms weren't very spacious. In fact, the bathroom occupied a major portion of the room. One side of the room was covered in glass from ceiling to the floor which offered a splendid view. The staffs were extremely courteous and prompt in their service. The best part about my stay at The Roseate House would be the food. We had our meals at Del, the multi-cuisine bistro and dropped by Chidiya Ghar for drinks. The beetroot and burrata salad, duck confit and the sushi platter were some of my favorite picks at Del. A meal for 2 at Del would cost you over INR 3000+ taxes. For evening snacks we stopped by the in-house patisserie Roasted, which offered delicious cupcakes and macaroons. They also serve a wide selection of TWG Tea, I personally loved their Vanilla Bourbon tea. 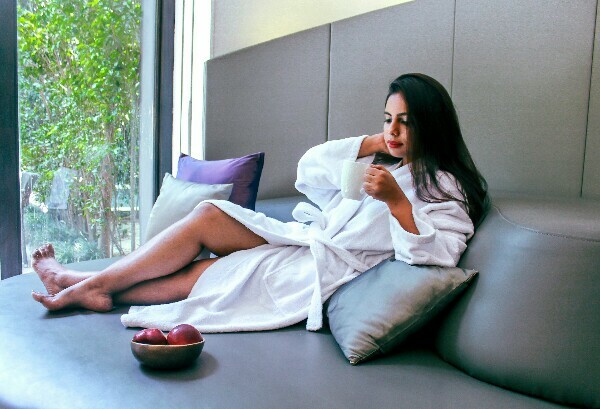 The hotel also has a mini theater where the guests can enjoy movie screenings and not to forget the luxurious Aheli Spa where you can unwind with their signature massages. The next afternoon we headed to The Roseate hotel after having our breakfast at Del. While The Roseate House is more of a formal business hotel, The Roseate hotel is more on the lines of a luxurious resort and is a perfect destination to unwind with your friends and family. I was completely in awe of the minimal yet elegant architecture at The Roseate. The property is spread across eight acres of land, surrounded by lush greenery and clear water bodies. The architecture is inspired from the 5 elements of Hindu philosophy- air, water, fire, earth and the sky which is reflected throughout the property in the form of dome ceilings, floral walls and extended water bodies. The pool facing rooms were huge and spacious with state-of-the-art bathroom. The hotel has the longest pool, over 100m long however it was quite shallow. We had our breakfast and lunch at Kiyan. The breakfast spread was huge however the lunch menu was quite limited. The food served was decent but the dessert platter stole the show. I absolutely loved the raspberry sorbet, it's the best I have ever had. We had our dinner at Chi Ni which served delicious Chinese food. Although the service was a tad slow but the food was very impressive. The hotel staffs who were extremely warm and helpful, made my stay a pleasant one. If given a choice to pick one between the two properties, I would choose The Roseate hotel any day. It's a perfect place to escape from the tedious city life for a rejuvenating weekend. The rates for an executive room at both the hotel ranges from INR 12,000-19,000 depending on the availability. Not your average library uniform!! Your timepiece can say a lot about your style. Although now we live in the generation of cell phones which can tell the time easily, but there's something about owning a classic watch which can elevate your look to another level. Walking down the memory lane, I remember my first Titan watch which was gifted to me by my mother on my 14th birthday. 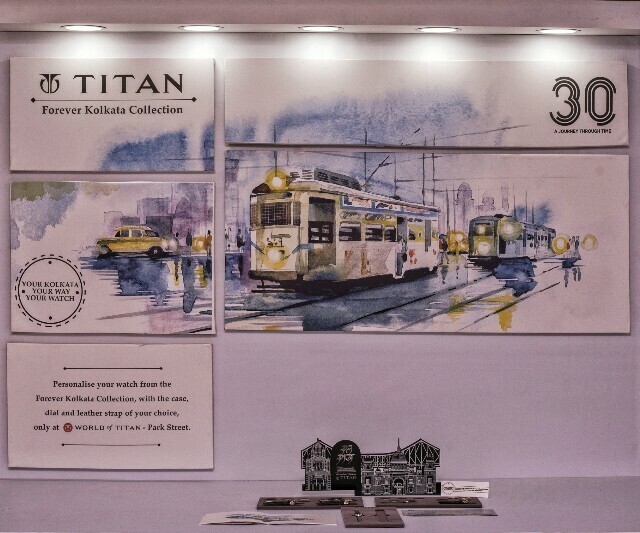 So when I heard that Titan has come up with a limited-edition collection of watches as a tribute to Kolkata, I was elated with joy. 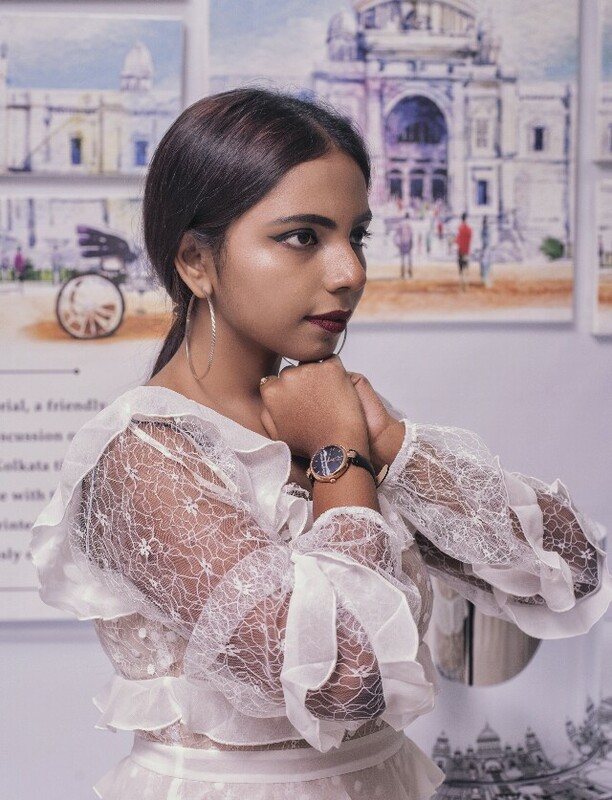 The collection was presented in an artistic exhibition at the Birla Academy of Arts and Culture and they were king enough to invite me to have a look at the exclusive timepieces. The limited-edition watches are launched under the name The Forever Kolkata Collection which is inspired by The City of Joy. These wrist pieces take inspiration from some of the most iconic elements that make Kolkata truly special – The Howrah Bridge, Victoria Memorial, Dakshineswar Temple and the beautiful Bengali script. The collection has 8 distinctive timepieces for both men and women and is priced between Rs. 4610 and Rs. 6920. The watches are adorned with artistic dials crafted with different techniques like photo-printing, etching and embossing. The watches feature in rose-gold and steel finishes strapped with genuine leathers in 4 different colors. The best part about the collection is that you can customize the watch to your own liking. However the customization is offered exclusively at the World of Titan, Park Street store only. Coming to my favorite pick from the collection, it has to be the one with the exquisite blue mother-of-pearl dial with the Howrah Bridge embossed on it. This minimalist retro watch went well with my vintage outfit and is an ideal contemporary reflection of the city. 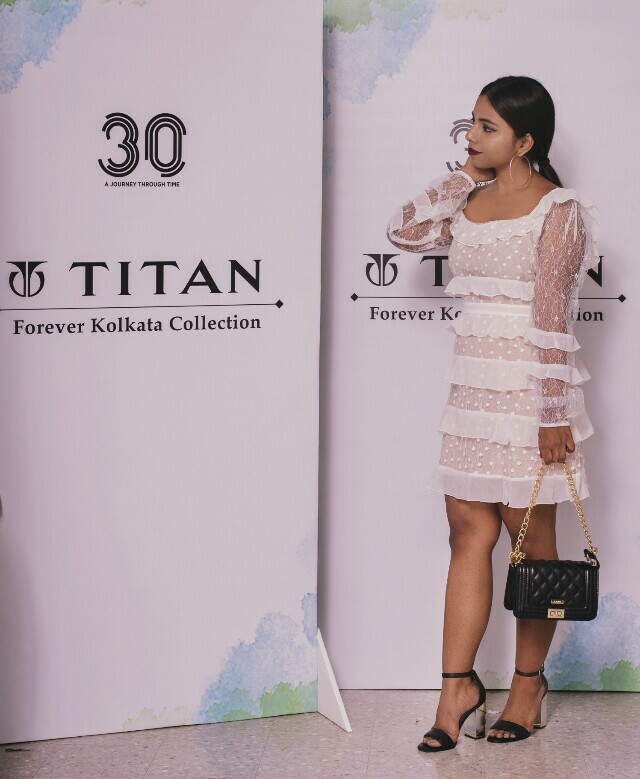 I feel that the Forever Kolkata Collection is an artistic tribute to everything that this beautiful city has to offer. The limited edition collection is available exclusively at select World of Titan stores in Kolkata. Go, grab these amazing timepieces now and elevate your style game up a notch.